Wondering if you could direct me to as many photos of the faint brown ring that forms at the base of the pod when it is ripe? Sure thing. Go to this Site: @ http://www.Grow-Poppy.info then scroll down to the #PODS Section. But make sure you don’t pass up the “Peak Alkaloid Info” Button just before (above) that Section. There will be a Square BUTTON just below where it says “Peak Alkaloid Indication“ which will Deploy a Text Lightbox Pop-up Window (when clicked) explaining everything in Detail. I live in hot weather climate, temperature here is about 24 celcius , i would like to know how to germinate and grow them, im trying to germinate in the fridge, do you have some method? Yes, I have several Methods in our “LATE BLOOMERS” Tutorial HERE – None of which involve the indoors since you will need to bring them outdoors eventually, which will cause stunting. Be sure to read about my “ICE METHOD” (Unfortunately, I don’t have Pics of it since I live in a Cooler Climate). But there are several more solutions at that Tutorial. Also, if there was a plant with 7-8 small pods that haven’t swelled since the petals fell off. When the petals fell off the very first bloom, I cut the water. Do you think its SO dry that the pods couldnt swell and mature? Should I lighty water at that point? This is all hypothetical by the way. There’s nothing about paeoniflorum that’s any more or less different than Somniferum. They are the same species. Just named different, and not ALL paeoniflorum’s are “Peony” (multi-petaled). It’s just a gardener’s term. Just as there are other flower Species that are called “Hens & Chicks”, or “Peony” for that matter. The pods are only shaped the way they are due to the weight of the additional petals. or are they for consumption only? ALL our Seeds are VIABLE. How else would we grow them every year to resupply our Stock? 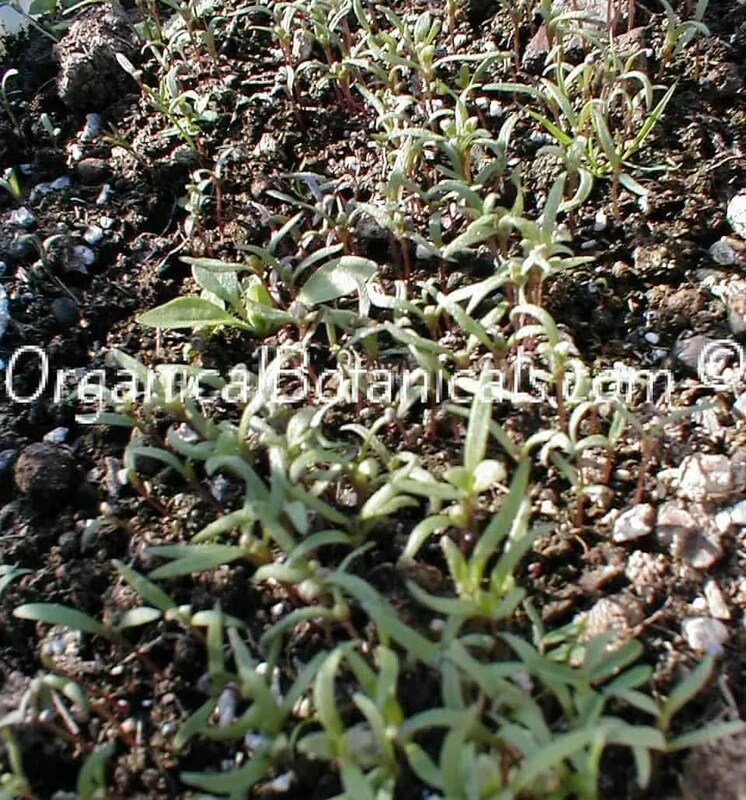 I have also read all other common information out there (from other sellers Blogger Pages, etc) – so most people do think their seeds are blue/grey, but that is only the case with Hybrids. These are Pure Bred Ikkanshu – which come from WHITE FLOWERS (as seen in this Image here: https://image.space.rakuten.co.jp/lg01/44/0000547844/28/imge389999ezik3zj.jpeg (notice where the image is hosted). Just scroll up a little when at the Scientific Study to view the info Highlighted in the Image. Hope this finally informs you PROPERLY. Still playing the waiting game in the germination stage, a bit concerned about outside temperature. The forecast max temperature the other day was supposedly only 14 degrees C, but sitting a temp gauge near to my pots in the sun I had a reading of about 23 degrees C! You explain about germination occuring between 1 – 18 degrees C. Have some of my seeds been roasted already? Should I go by my local regional forecast or use my own measurements? If the latter then I better go and find me a set of baking sheets…and quick! 😉 It was only for one day though and the temperature today matches my reading of 14 degrees C, phew, it’s safe to go outside again lol. I also have some distance between the soil/peat pellet surface and rim of pots as advised for shading + gave them all extra misting that day. Would you say seeds prefer the cooler end of that 1-18 spectrum? I read here somewhere your response to cooling seeds via refrigeration being a myth, hopefully I’ve not caused a problem doing that. They were in at 6 degrees C for two weeks prior to planting. Also, how deep should the fertilized soil above the ‘perlite only’ layer be and will/could they grow to their maximum potential in pots vs being ground sown? I have a heavy clay soil so currently that is not an option, any advice on how to amend specifically for poppy cultivation? Thank you. One thing you should do when planting in Pots especially, is put a layer of Perlite on TOP of the soil (as soil is dark in color, so it will attract more heat to it). But the White Perlite will not only keep things cool, but will reflect more light onto your plant, AND will retain moisture. So it;s a Triple Whammy. I show this in our “Late Bloomers” Tutorial don’t I? – The refrigeration method isn’t going to ruin your seeds, it actually preserves them. I only said that I personally have never used that method. -The “Perlite ONLY Layer” is only there to hold your Soil in Place. It simply acts as a “Filler” to fill all the large gaps between the rocks so that when you Water your plants, they don’t sink. So just fill it to the top, minus a few inches for protection from “Things in the Sky”. Poppies can be planted in Clay soil too. It wouldn’t hurt to add some ‘Soil Amendment’, and perhaps some Greensand to loosen it up, but no, I’ve never seen a Poppy reach “Full Potential” in a Pot, as opposed to Direct Sowing. And they’re root systems are not that big either. Some of my larger plants are starting to wither. It’s been very hot and I live in zone 8. I’ve been watering about 2-3 times a week. Can I water more since it’s so hot or what are other options to help my withering plants? How hot? They will only wither from Heat, if your temps are above ˚90 -˚95 degrees (F). No need to water them more than that, but when you DO water them, you need to make sure you give them a good soaking. But I have no idea whether you planted in Pots, in the ground. what kind of soil we’re working with, etc. So I can’t really give the best advice. But if you have any way to provide them with some Shade during the Mid-Day sun, than find a way. They don’t need a FULL Day’s worth of Sun, they can easily survive and thrive with just a few hours of Full sun each day. The only other thing I can think of would be Nutrients. They are Nitrogen Dominant in ALL Growth stages. So if you planted poppies in that same location in previous years, but didn’t replenish the soil, there’s your problem. Hello, further to my last comment I can confirm green shoots have appeared in all pots after 10 days! Despite the weather (high temps), on another day the display showed 26 degrees C, if my tool is accurate? I used Ice sheets on a few of the pots this second particularly hot time (as many as I could make) but seedlings emerged even from those without cover. I have labelled up 12 pots in all and am trying a number of variables on my first attempt. Just for the hell of it I’ve even tried to plant some in my thick clay soil (not expecting much to come of that after roots break through peat pellet) #brickwall ;). Size of pots, positioning, soils, watering/not watering (after initial saturation of growing media in each), with/without peat pellets, types of fertiliser (heard about tomato feed working well with poppies, found an organic one). Blood, fish & bone (sorry veg/vegans), seaweed and bat guano. Some layered, some worked into potting mix. So among that lot I will hopefully find a winner! lol. Spent an afternoon drilling small holes in plastic cups for maximum aeration (liking your idea on that). Just netting in the first days on some and others with porous garden fabric + small frame inside pot to lift fabric and allow more growing room, hoping that works well. Secured with tight fitting elastic band should keep all pests out. Not exactly sure how to avoid cross pollination so decided all pots this year would be sown with the Izmir Afghan seeds. I think your video shows this variety growing well in pots so fingers crossed. Awesome! If you could take any Photo Documentation, that would be of great use. If you have enough, and you feel up to it, I’ll give you your own “Guest Tutorial Page”. Where you can either submit your own Content for us to Put together and Publish for you (and by you). Or, I’ll give you Admin access (Limited) where you can write everything and compose it yourself from the backend. We don’t take any credit for it. Nor do we alter it (unless u want us to). We just enjoy seeing the stories that “Grow” from our Seeds. This invitation is always open to anyone who can document their experience and produce Content from it. Hello, thank you for your replies and your offer for me to submit a tutorial page. I didn’t get an email but had ticked to be notified? Kept this page open to see your responses. Wish I’d taken more pictures now! Got a few but should have documented the mixes as they went into pots, oh well. Having said that I did write some notes that correspond to each numbered pot and only recently prepared the small ground plot. So I’ll keep a visual progress on it all from this point, seedlings are still very young so anything could happen yet, hopefully only good things (healthy growth) 🙂 Perhaps by the end of the life cycle there will be a worthy amount of info to share here. Been having some unseasonably hot weather again, more like summer for here in the UK! 20ºC+ (found the symbol lol) forecast today. More ice sheets at the ready! I did churn up the clay rich soil pretty well removing large rocks along the way. Left the soil spread out on a large piece of tarpaulin to dry slighty then forked it about in my small trailer till it was a crumbly texture before tipping it back loose in the hole. Used up the rest of a big 100 ltr bag of perlite mixed in too so perhaps it is sufficiently prepared . Forgot to leave some back for the (better than Judge Dredd) Triple Whammy! lol All pots do have some perlite on the surface though. The soil in my pots (without naming the company) contains: 20% sphagnum peat moss, 35% garden peat, 10% high quality organic Worm-Humus , 30% perlite. Separately I mixed in organic fertilliser as you have explained. Fairly confident this should see them through with watering and possibly other liquid fertiliser sprays. What sort of soil composition do you have in your rows for the great results you achieve and do you replenish nutrients every season or less frequently? Thank you. Sure! No problem. Ya, that invitation is open to anyone who is growing our Seeds, as long as there are at least some Photos and/or Video to go along with the Documentation. I thought maybe Pie Pans would make the Perfect Ice Sheets, but I’ve never had the need for them up here in the PNW. Nor have I the means to make them, as I only own a Mini-Fridge. I could use a Photo showing the “Ice Sheet method” for our “Late Bloomers” Post. If u would like to share a Photo of your Ice Sheets, perhaps on top of one of your Pots, that would be the missing piece to that Post, and I’d be glad to either Credit you as the Photographer, and/or issue you a Coupon for Store Credit (you would still hold 100% Rights to your Pic(s) though). Feel free to upload to any Public Image Host (Imgur, giphy, Flickr, Photobucket), and just paste the Image URL(s) in any Comment. But ya, the Soil mix you described sounds like your average Potting Mix, which is perfect. However, if u wish to loosen Clay, use a Soil Conditioner (aka: ‘Soil Amendment’), and supplement with ‘Greensand’ and ‘Perlite’. There’s a Brand called ‘Black Gold’ that sell Amendment, and ‘Good Earth’ sells ‘Greensand’- it’s a Fertilizer but is only part of the ‘K’ Spectrum (NPK). For my rows, in the past, I liked to have total control of the NPK Levels, so I’d find THREE Fertilizers, each only containing either Nitrogen, Phosphorus, or Potash. But now I just Re-Plenish with a Mix consisting of a 6-3-3 NPK Levels. I will also grind up all remaining Plant Parts at the end of each Season, and mix back into the soil and allow it to recycle back into the soil. But Seasonal Fertilizer replenishment is VITAL, since poppies use up so much nutrients. 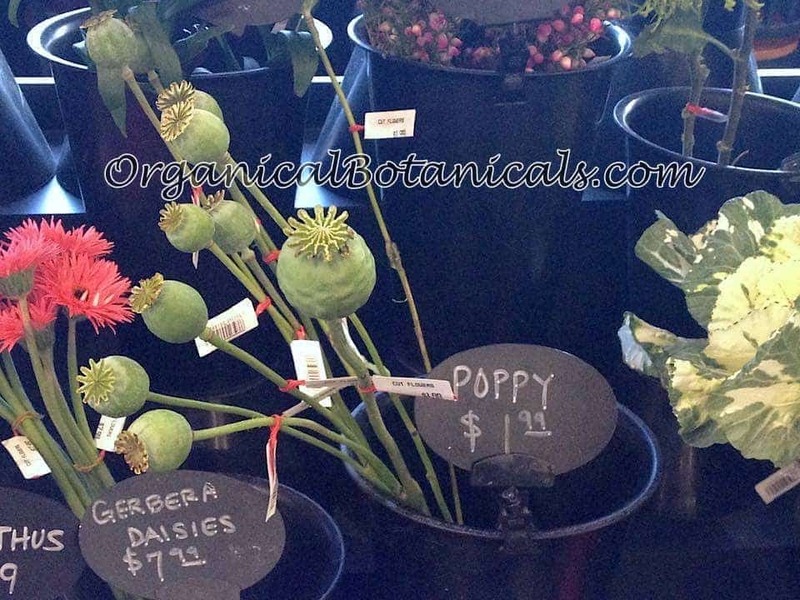 ANY and ALL “Poppy Seeds” that are Sold at a Store, are in fact “Papaver Somniferum” Seeds. Whether their Viable or not, I can’t say. Nor is there any way of knowing the ‘Variety’ (flower color, pod type, genetics, etc.) of Poppy it is until it blooms. But most likely, it will be your Typical Commercial ‘Breadseed Poppy’ (which look just like Tasmanian Poppies). Which is why you see sellers all over Amazon and eBay selling them by the pound, and just calling them whatever sounds marketable (“Afghan Purple Tasmanian”) Most of the time, showing just a Photo of a Seed Pile, or Images Stolen off Google Images- these Seed “Re-Sellers”, have never grown a Single Poppy. Thank you to the others who also recently leave comments here about their growing experiences. I am new at it with these poppies, but have gardened a wide variety of plants for over twenty years having been raised on ranch here in central CA. Been trying to germinate some seeds and so grow me a few varieties of papaver somniferum for nearly a month with nary a single sprout yet. Have tried peat pots as well as directly sowing on ammended ‘loam’ soil, also some with salt on top to discourage bugs. Weather has been cool at night (40 F) to mild in day (70 F) I have given up trying the peat pots and am down to just a small patch of ground sowen a couple of weeks ago, keeping it moist in hopes of a miracle sprout. No bird problems, the only pests noticed are some earwigs that come out during the night and so I used an organic-type spray to try and defeat them. Fortunately a friend who has a single strain of papaver somniferum established in his yard gave me a few young ones to transplant. They are actually doing ok considering, everything I had read about it was understood to be that transplanting is a difficult thing to accomplish. Go figure. Thanks Tim. Ya, if you’re in Cali, this Tutorial isn’t for you. Since this one is mostly for COOLER Climate Zones. Hi, I want to choose some potent/productive poppy strain, which will be ready in medium-long summer. I am living in central Europe, so summer is much shorter in comparision to for example Afghanistan – where some came from. So I am looking for something strong/big, but not very slow. Sorry for the delay. But your question prompted me to do some research in order to provide the Best possible, Factual, Scientiic answer. 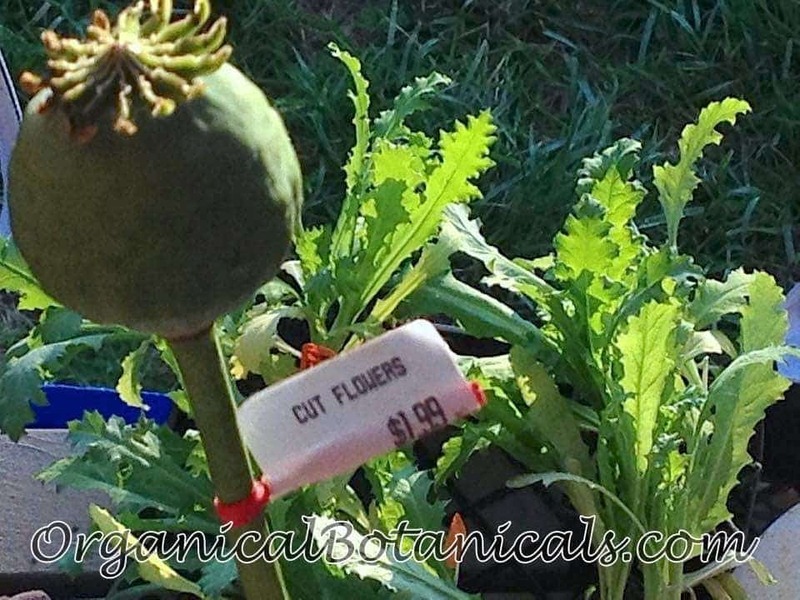 There, you will find Links to our Seed Listings considered to be the “TOP 3” Poppy Varieties (according to the Scientific Study on Alkaloid levels of several somniferum Poppy on the PDF). I’ve been feeling the need to fertilize my poppy sprouts,yet I am unemployed and cannot afford commercial fertilizers at the moment.. Do you think that poppies would benefit from a home-made fertilizer made from composted coffee grounds and water? It’s high in nitrogen but I’m not sure if the acidity would be good for the sprouts… Please let me know your thoughts on this, or if you have any other suggestions. Thank you SO much!!! Don’t use Coffee grounds in heavy amounts, as the Acidity can kill you sprouts. But if mixed with other Compost, it’s ok, just as long as your compost has been completely decomposed. But most importantly, you need to Sterilize any “Home made” Compost before adding it, as Poppies are very susceptible to several mold and fungus strains. Thank you so much for your advice! I ended up making a weak cup of coffee and diluted it in some water. I fed it to my plants two days ago and now there’s tons of new sprouts and a dozen of them are finally in the “cabbage stage”. I’m so happy!! :) Thank you for having such an insightful tutorial! We find Living Plants and Pods for sale at the market all the time. 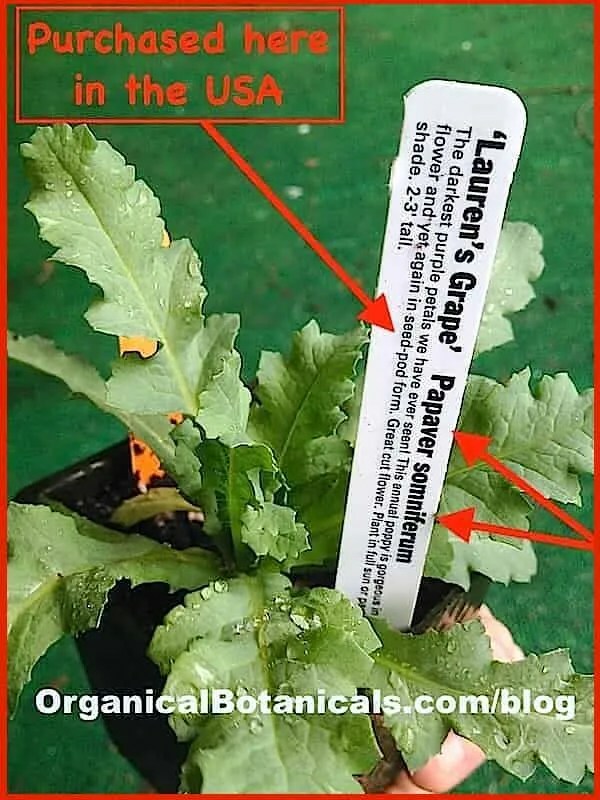 Not only are they sold, but they are even Labeled “Papaver Somniferum”. 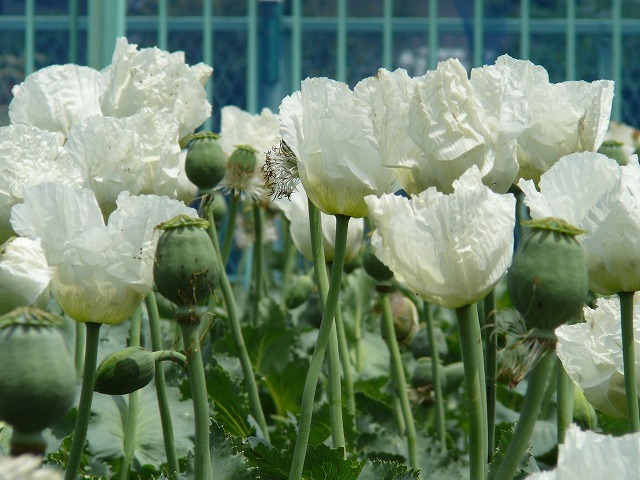 While somniferum (opium) poppies are technically a controlled substance, nobody ever gets busted for growing them in their garden for ornamental purposes. It’s only a problem if you’re caught bleeding them or ingesting them. Plenty of old grannies grow poppies and it’s really not an issue. They have a ton of benign uses, such as wreath-making (dried pods), cooking (seeds) & simple ornamentation. They are a beautiful flower, after all. We spent 15 years on this subject and have written detailed Articles, shedding light on the Grey areas about this subject. Is it possible to grow poppies indoors. I move a lot for work and would like to travel with them as they are so beautiful. Hi John, please see my answer to Bill HERE who just asked the same thing. I was considering buying a 300 pack. I’m really new at this. I’m wondering, can they be grown indoors? If so, do you have a tutorial on how to? Thanks for the help. Hi Bill, (and John, who also asks the same question) yes they CAN be grown indoors as several of our Users have been successful at. I don’t really have a separate tutorial since all the Temp, Light, Nutrient, and Water requirements would remain the same- and all other stuff in regards to “Pests” need not apply. I would suggest using LED Lights ONLY, since all others give off too much Radiant Heat. Their Flowering mechanism is triggered by “Heat” primarily. So I would allow their environment to become a bit warmer (75-85f) after about 2 solid months of growth. That should make them begin to Bolt. For Nutrients, I suggest an NPK Level of 6-3-5 as they are Nitrogen Lovers throughout all stages. I would welcome any Documentation you might record of your Indoor Grow, and offer you a Featured “Guest Post” Spot in the Blog if you wish. Keep notes. Take pics, and check in w/ us when you’re done. Glad to help w/ guidence along the way too. Just contact us at our Contact Page. I ordered the seeds today… I’m trying to find the nutrient mixture you recommended, but no luck. Can you recommend one that I can order from Walmart or Amazon? I’d really appreciate it. Thanks. Hey Bill. It doesn’t need to match the exact numbers. Those NPK Numbers I gave (and in general) are just a set of Ratios. Doesn’t have to match exactly, and u may find something that works better for you. But that’s just what I personally use. I’m not sure this is the right place to ask but this is driving me nuts and I have found no info anywhere I have looked. I planted about 100 purple taz seeds last year. They grew beautifully to the cabbage stage and I was so excited to see shoots coming out. Unfortunately, the shoots were simply seeds. I figured I’d planted too late so this year, I planted in the fall. Same thing going. Beautiful cabbage stage, each plant throwing up seeds with no flower. How is this possible and is this something you could help me fix? Any information on my question ? I’d really appreciate it. Mdo you need a picture? I apologize. I could have sworn that I answered your Question in great detail already, but it must have been lost. No need for a Photo, as I am fairly confident that the poppies you’re growing are NOT P. Somniferum. They sound more like Papaver nudicaule such as the ‘Champagne Bubbles’ variety. Where did you buy the seeds? Anyways, that’s why we sell them. Because is not all that easy to find Somniferum Seeds that are sold with a Full Image. Well we don’t sell “Purple Taz” Seeds since that is not a Proper name. What I notice many first time growers do, is they plant Seeds, but have a hard time isolating and identifying their Sprouts (as even as an experienced grower, it takes a trained eye). So I’ve heard of situations where a completely different plant (wild to the user’s area) would come up. When you say the word “Shoots”, what is a “Shoot”? Perhaps you should upload some Pics to Imgur and leave me a Link. I think I have some photos of sprouts that include a bunch of Native weeds, and one Poppy that I took. I will look for it and show you to see if you’ve got a Trained enough eye. Doesn’t sound like you’re letting the Poppy grow, rather something native. How long will the seeds stay viable for? If I dont plant them this season, will they be alright for next spring? If you store them at room temp in a dry, dark place, for several years. If stored in the refrigerator, add another 10 years, but don’t remove them until you’re ready to plant. If stored in the freezer, they will last indefinitely, but same rules of removal apply. Hello I have a question about late season growing in zone 9 usa. Temperatures here are 80 to 100 in the day and 65+ at night in summer. I followed the directions for growing in hot weather (I used a black shade netting and perlite and starter pots inside 1 gallon pots with regular store bought non crushed ice. After 2 weeks all somniferum have sprouted. My glabrum is 1.25 inch high, and the rest are between .5 to .75 inch high. I’m buying a fan fogging system for the greenhouse this stuff is in. How much longer do I have to ice them? It is mid August now and next frost is not till Dec. 1st. Thanks! Yeah, you usually wanna be heading into warmer weather at the time of planting, but since we’re past Solstice, it looks like you’ll be “Over-Wintering” these. So they’ will get to cabbage stage and stay like that until days start getting progressively warmer and longer. That’s why you’re supposed to plant AFTER your last frost, not 6 months before your FIRST frost. I can’t really give honest advice here, as I’ve never attempted something this crazy. But the younger they are, the cooler they like it, so as they age, they can handle higher temps. But even a FULL Mature adult would FLOP OVER in an INSTANT in 100º Weather. Even just one day of it. I am going to be able to lower the daytime temperature to 85 or less if I keep them in the greenhouse. I can also move them outside because they are in starter pots. I have 4 months till frost and they are already successfully germinated. Can’t I give them a full growth cycle? And they going to be ready for pod seed harvest before winter? I tricked them into thinking it was early spring in a moderately cold zone, now can’t I give them the summer they need for 3 months? I have plenty of seeds to experiment and a long season. When should I transplant (in starter pots) and outside in rows or in the greenhouse where I can lower daytime temperature? Thanks a lot! 85º is still too hot. If they’re just Sprouts, that’s about all they’ll be. You’ll see. But Hey, I’m not God. I could be wrong. I don’t a Visual of your Plants, and the setting you have them in. I would suggest positioning them in an area where they get the Morning Sun (then in shade from Mid-Day, until Dusk). So place them on the Eastern Side of your House (or any structure). Also, why are you using a Greenhouse? Wouldn’t that defeat & nullify all efforts to keep them cool? TRANSPLANT??? Who told you to put them in 1 Gallon Pots?? You want a SINGLE Poppy in a 5-Gallon Pot (MINIMUM). Didn’t you see the part about Transplanting in thr Tutorial? Is the top of the soil covered completely w/ Perlite? Sounds like they’ve got a 1 in 10 chance of making it. But I would be interested to know what happens. You’re right that they shouldn’t be in the greenhouse, but they are not going to be transplanted into 1 gallon pots. They are going to be in at least 5 gallon pots. What I was saying was that they are in a starter pot inside a 1 gallon pot so the heat shade doesn’t crush the seedlings and to manipulate the sun angles. They aren’t in soil yet. I can still move them outside at any time. Well let’s see what happens. You need to plant them and germinate them in Soil. do you sell the harvesting tool the one with about 4 blades on it to score the seed heads if so can you tell me where to find it in here, I will purchase 1 of them at the same time I purchase some seeds. thanks Darren ( England ). Darren, we do NOT Sell such Items, nor do we Condone the Use of such (as it clearly states in our TERMS (UNDER: “User Conduct”), as well as on our CONTACT Page (fine Print -bottom). WE MUST ASK THAT YOU REFRAIN FROM ANY MENTION OF SUCH ACT, OTHERWISE, WE MUST BAN YOU FROM OUR SITE (as stated in the TERMS). But consider this the 1ST WARNING.